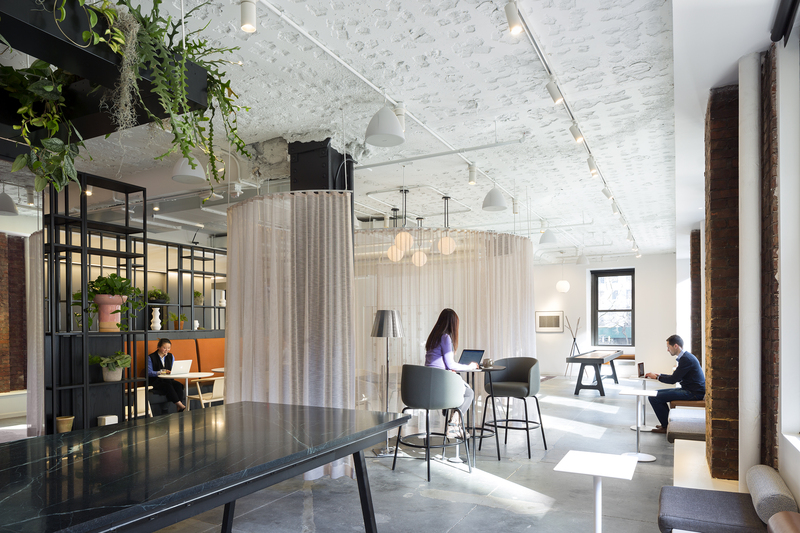 Recent reports that SoftBank may take a majority stake in WeWork has added fuel to the already hot market for startups in the workspace and property tech sectors. One of the more compelling companies that stands to benefit from this trend is New York-based Convene. Started by co-founders Ryan Simonetti (CEO) and Chris Kelly (president), 500-person strong Convene has distinguished itself as a top-tier provider of meeting, event and flexible workspace offerings in its 21 locations. 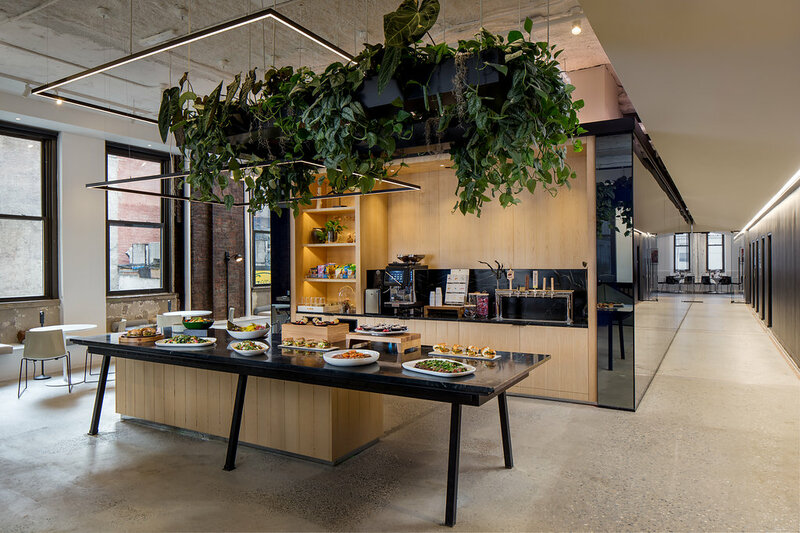 But unlike freelance-heavy WeWork and other co-working companies that cater to 1-10 person companies, Convene puts owners of Class A office buildings at the center of its business model. The goal is to help these landlords provide tenants with the high-end of amenities of, say a unicorn tech startup. On the back of the company’s recent $152 million Series D, Simonetti and Kelly were eager to discuss new initiatives, including a co-branded turnkey workplace and amenity solution and their plans to launch additional Convene locations, including London. They also elaborate on how they plan to benefit during the next recession and open up on their differences with category giant WeWork. Finally, they explain why paintings by renowned artists, including Picasso and Calder, are tucked into corners of the company’s first, soon-to-be-opened members club at Club 75, at RXR’s Rockefeller Center. Ryan Simonetti: Yes, is that called being washed-up in the startup world? CK: Hotels simply didn’t have the sensibility about what people really need in a business environment. They treated a shareholder meeting like a wedding with a projector. And we saw a huge opportunity to create spaces that met enterprise workplace requirements. CK: To build on that, you could say that we’re essentially allowing landlords to offer Googleplex-style workplace experiences. RS: That’s a big challenge for even large organizations. Look at Google, Facebook or JP Morgan. These companies can deliver an amazing experience at their corporate headquarters location. But in their smaller offices, it’s really tough to deliver a corporate HQ experience if you only have five, 10 or 15,000 square feet. You can’t build the kitchen infrastructure, or the gym, or all of those other things. So to Chris’s point, we’re democratizing access to that experience, and doing it with the landlord as the key partner. RS: Look, if we think about the macro trends that are shaping and changing not just the way that we work, but also the way that we live and travel, I would argue that WeWork and us have a similar view of the world and the future. But from a business model perspective, the quality of the product that we’ve built, the level of service that we deliver, the strategic nature of our partnerships with building owners, I don’t view us as directly competitive. GS: I appreciate that WeWork ultimately caters to smaller-sized end-users than Convene, so in that way you’re different. But it’s also true that even though Red Bull and Coca Cola are different drinks, you’re not going to drink a Coke and a Red Bull at the same time. CK: And WeWork is using the SoftBank balance sheet to grow their business. CK: Because there are elements of the way we structure our deals that allow our performance to be variable. And by using the landlord’s balance sheet to grow our business, it aligns us and the landlord to be able to ride through a recession together. RS: If you look at our current partners that we’re actively working with, I think they globally control over 250 million square feet of Class A office space. So if 10 percent of that moves to flexible consumption, that means Convene could have an addressable market of 25 million square feet of inventory. GS: So given the way you’re talking, would it be fair to say that your landlord partners have recognized that the flexible workspace trend is here for the long term? CK: Actually, what we’re seeing is the consumerization of real estate. Real estate was historically very B2B, very financially driven. Today, it’s being driven by human experience, so yes, brands matter, the customer experience matters. And that consumerization of real estate actually is happening. CK: What makes that platform unique is that it’s co-branded. It’s an endorsed brand model by Convene, which means that the Convene brand standards, the Convene operating model, the Convene staffing model and the Convene university training program comes with it. GS: I want to shift to the future of work, which is something you both have spoken about in pretty bold terms. We’re at this amazing Convene members’ club, which sort of feels like a SoHo House except we’re in midtown. And you’ve talked about how an experiential personal life will be closer to a work life. Where is all this going? CK: Actually, there’s a difference between remote work and mobility. Remote work is the traditional concept of working from home, and we’re actually seeing some backlash now of companies who are really trying to drive culture, and want more face-to-face interaction. CK: Yes, the built environments of our offices are changing from looking like cubicle farms where everybody reports to their desk and their computer to operating a lot more like a digitally enabled campus. And the decoupling of people and their work from their desk is opening up an opportunity to build what’s called an activity-based workplace, where there are different types of spaces that are specialized and built for specific uses. RS: Also, people used to talk about remote work in magical terms. They’d say, I’m not going to need an office. We don’t believe that this is the case. We think that there are a few things that will continue to matter to organizations. One is brand, two is culture, three is collaboration. And until technology can somehow magically replicate that experience, we think that the best ideas will come from face-to-face interaction. CK: Yes, we are and that’s another one of the differences between us and others. In fact, we’ve been cash flow positive since Day one. And as an organization, profitability has always been something that we think is very important. But to your point, our concern isn’t so much about the capital that’s flooding in; there’s no amount of money in the world that can buy you a partnership with Brookfield or a half a dozen landlords that we’ll be powering next year. And money, whether it’s from SoftBank or anyone else, can’t give an organization its corporate culture. And I think one of the reasons we’ve been selected as the partner to some of the most discerning customers in the world is because of the fact that every day, we deliver consistently against a premium experience.